International pressure and US mediation prompted Prime Minister Haider al-Abadi to open airports in the Kurdistan region, while the decision was not surprising after the recent crises in Baghdad and Arbil, the newspaper expected to open border crossings and the distribution of salaries soon. 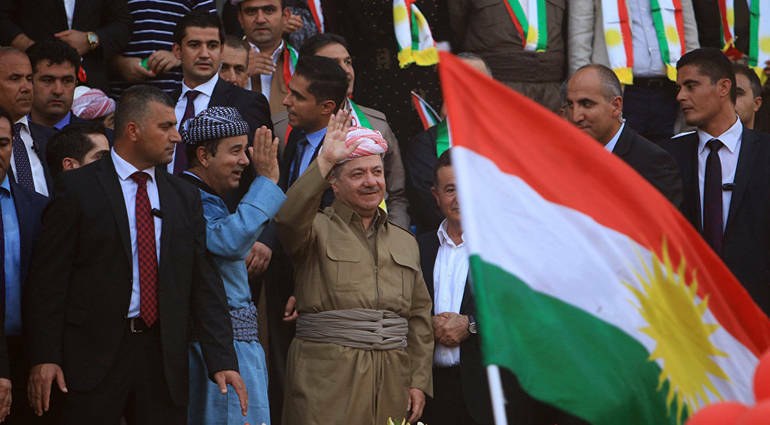 Majid Shinkali, a member of the Kurdistan Democratic Party (KDP) led by Massoud Barzani, told the newspaper that "Abadi's decisionwas not surprising to us because it was the result of efforts exerted by the United States and other international Normalization of the situation between Baghdad and Erbil, after a series of crises experienced by the parties during the past months, including the imposition of a ban on airports in the region and border crossings, as well as the crisis of salaries of employees of Kurdistan. Shankali added that "this decision can be a positive gesture to resolve the remaining outstanding issues between the parties, such as border crossings and salaries, as well as the management of disputed areas joint administration, according to the federal constitution," noting that what happened is not just administrative procedures, On the level of the relationship between the parties, which is expected to take place during the coming period.